Nandi Hills is the hill station, which comes first to mind of every Bangalorean. We Bangaloreans have a trend for ages to visit Nandi Hills for a Picnic, Bike Ride and a hot spot for dates too! In my scenario, Nandi Hills was our hang around place and use to visit at least twice in a week. Since, my college was in the nearby town. Almost a decade ago, there were very few eateries & Dhabas though it is on Highway. After a Decade, the International Airport was built and lots of visibility to the unpopular NH 7, which is again a longest National Highway, connects from Kashmir to Kanyakumari. In recent times, I noticed so many new restaurants and International Fast Food Chains arrived in the Highway till International Airport. However, after Airport, there are may be one or two. Being a regular traveler in this NH 7, I always stop at “Indian Paratha Company” which is the only life saver & destined to stop the hunger. This place is a pit stop for so many visitors to Nandi Hills while going or the way back. 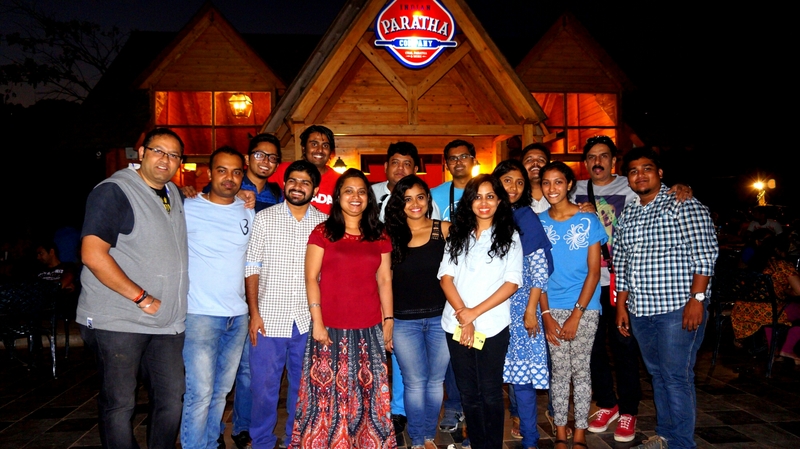 Well, IPC or Indian Paratha Company in associated with Food Bloggers Association Bangalore invited few bloggers to try out some of the signature dishes. It was a Sunday evening and all were geared up to visit with great excitement and we were reached on a time of Sunset. 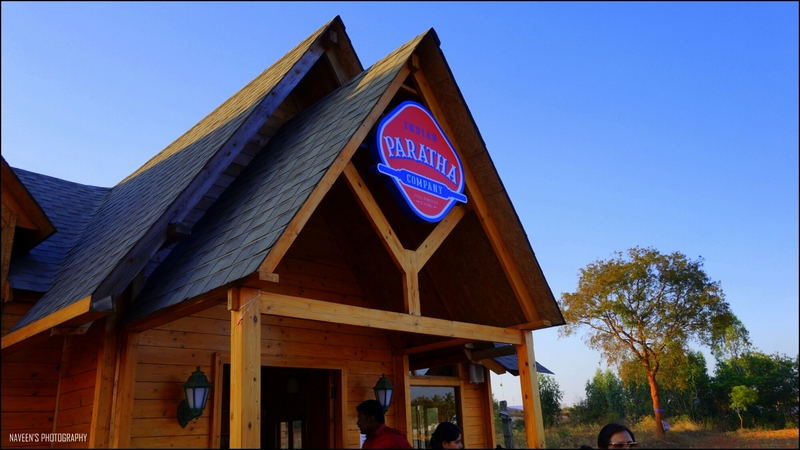 The restaurant built with a golden brown wood and looks similar to wooden houses in European countries. They have utilized the space completely for good seating arrangements both indoor & outdoor. That amber light fall into the golden brown wood gives a classy dining experience; one must definitely visit during the evening. Though I visited here several times during the day, but the FBAB meet made me to experience the real IPC during the evening! They did a predesigned menu with few Signature dishes! 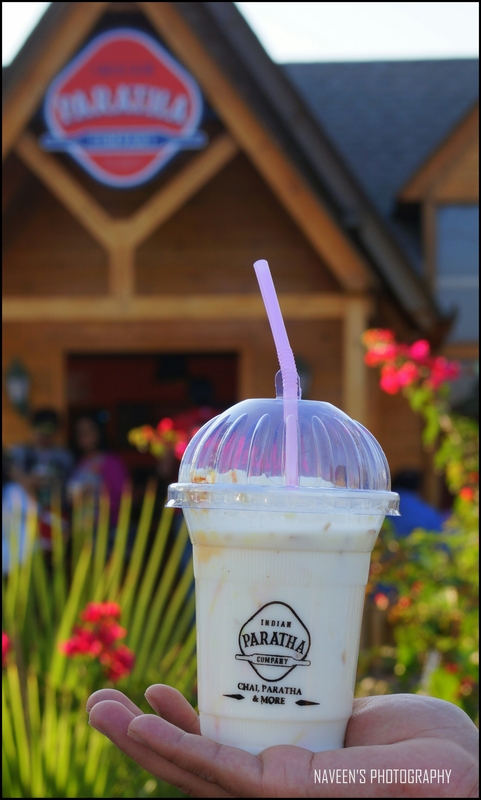 Patiala Lassi – The Lassi was upright with so many chopped nuts and it was thick and rich. A perfect drink to make you refreshing during summer. 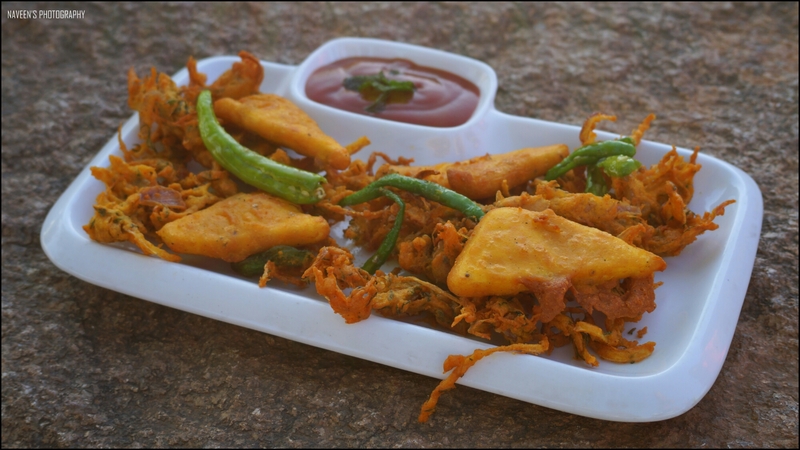 Pakoda Platter – The platter consists of Paneer Pakoda and Onion Pakoda. The Paneer was soft and fried up to golden brown. It tastes indeed good with the tomato sauce and fried chili. An Onion Pakoda was nothing special. However, it doesn’t disappoint. Since it was again fried perfectly with some Indian spices in the batter. 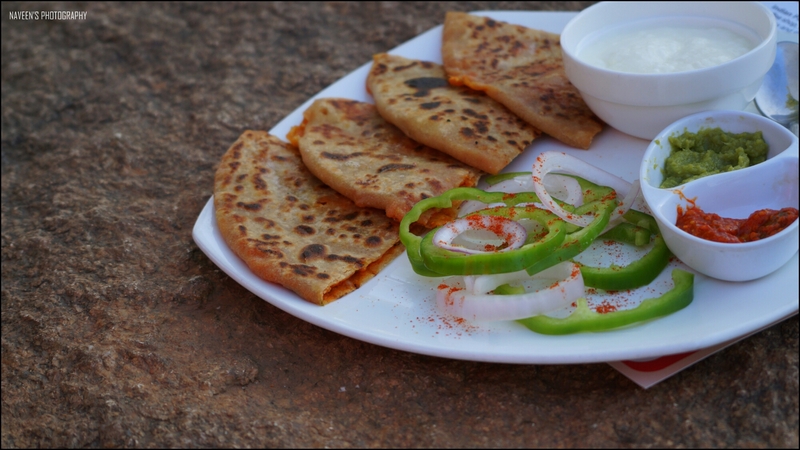 Achari Masti Paratha – The dish was presented nicely and served with Curd, Pickle and Green Chutney. The Paratha was rich in spice level, so most of them haven’t enjoyed. However, I loved it especially because of the spice and pickle stuffing. But a couple of pieces were soggy at the bottom and that’s something they should really work to maintain the consistency. 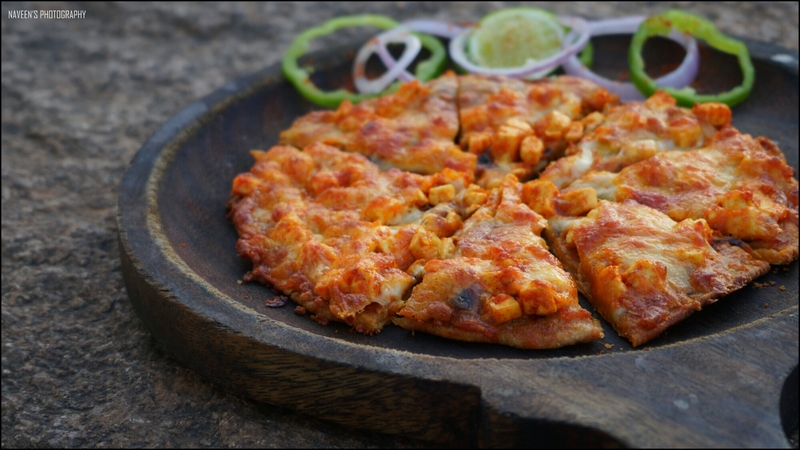 Paneer Tikka Parathzza – I had so much of expectations about the Parathzza. However, I felt it’s bland and base was too hard. The dish could have been better. 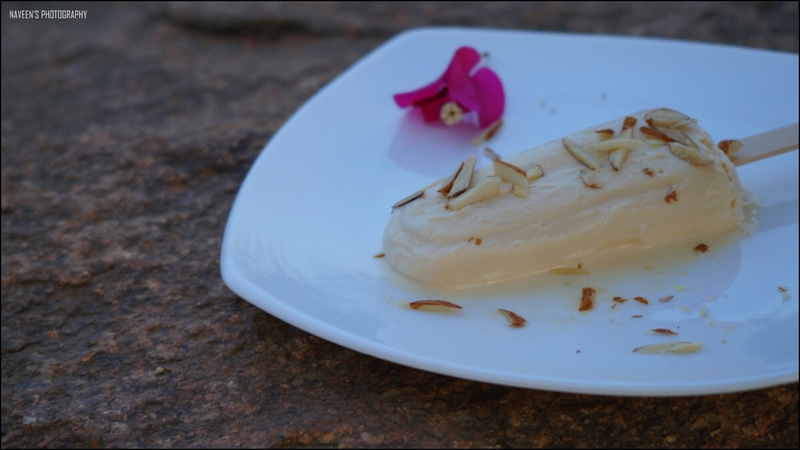 Kulfi – Best ever Kulfi so ar! It was just melting and right amount of sweet level. This was a Show Topper among all. Irish Coffee – The Coffee was presented nicely in a Transparent long island coffee glass. 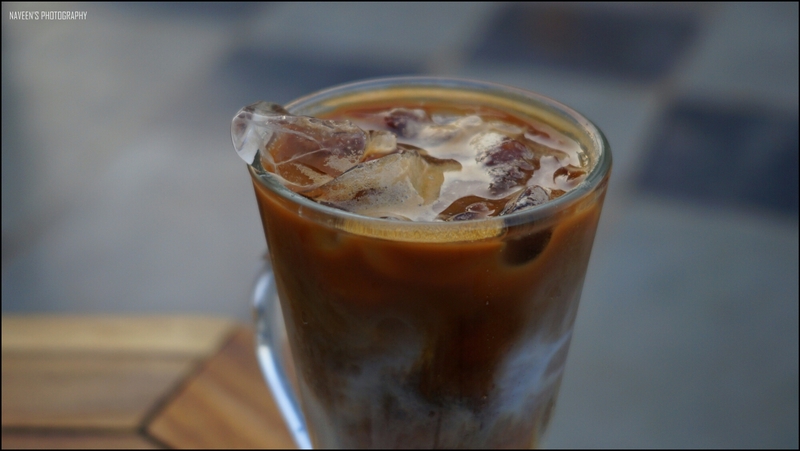 The coffee was of 3 layers and when I tasted initially it was too sweetish. Later, we were told to mix it properly. But I did not notice much change. This needs to be improved! 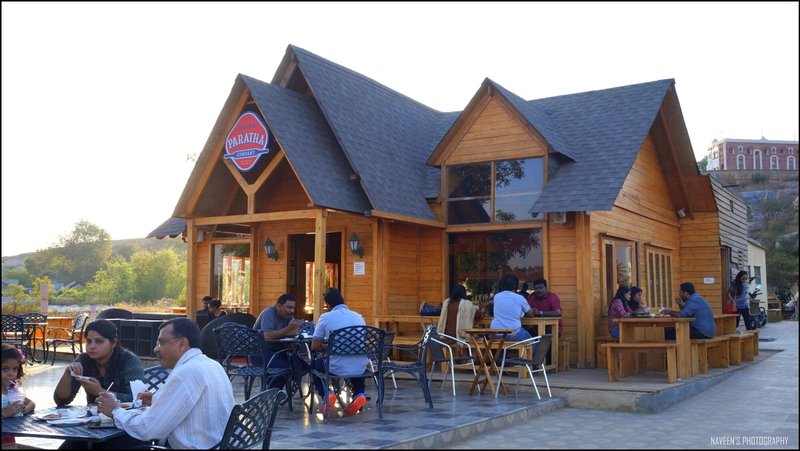 This is an apt place for back packers, students, families to settle down after a long ride. I would like to thank Indian Paratha Company team for having us and it was a great experience to interact with founders with some decent food. Address: 1/2, Guttahalli, Kasaba Hobli, Devanahalli, International Airport, Bangalore. Great post as usual. Love the setting. Will viist atlest for that.